This weekend the Kingman Historic Theatre will be showing "Wreck-It Ralph" at 7:30 P.M. Friday, November 23 and Saturday, November 24 and at 3:00 P.M. Sunday, November 25. This movie is rated PG and star John C. Reilly, Jack McBrayer, and Jane Lynch. 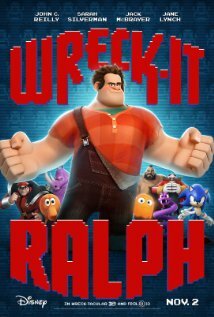 CHECK OUT THE OFFICIAL "WRECK-IT RALPH" TRAILER.